09.00 Uhr Abfahrt vom Hotel. Fahrt für ca 100 km auf der Mombasa Nairobi Strasse. 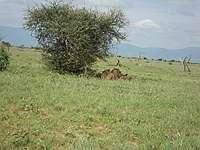 Betreten des Tsavo Ost am Bachuma Gate. Pirschfahrt durch den Tsavo Ost. Mit etwas glück sehen Sie die roten Elefanten vom Tsavo (durch den roten Staub vom Tsavo), Büffel, Antilopen, Dikdik, Zebra, Giraffe, Löwen, Geparden oder die seltenen Leoparden. Mittagessen in der Voi Safari Lodge. Ausruhen am tollen Pool (die lage am Hang ist einmalig) geniessen der weite vom Tsavo Ost. 16.00 Uhr erneute Pirschfahrt im Tsavo Ost. 06.30 Uhr Frühstück, Check out von der Lodge. Pirschfahrt auf den Weg zum Manyani Gate. Hier verlassen Sie den Tsavo Ost. Fahrt auf der Mombasa Nairobi Hauptstrasse zu der Ortschaft Emali. Hier biegen Sie ab und fahren ca 100 Km zum Ambosli National Park. Am Imuruti Gate betreten Sie den Amboseli National Park. Pirschfahrt auf den Weg zum Camp. Mittagessen im Camp. Relaxen Sie am Pool. 16.00 Uhr Pirschfahrten im Amboseli National Park. Dieser Park ist bekannt durch seine tollen Tieraufnahmen mit den Kilimanjaro (Tanzania) im Hintergrund. Man sieht unter anderem Elefanten, Zebra, Hyänen, Gnu und manchmal Löwen. 06.30 Uhr Frühpirsch im Amboseli National Park. Frühstück, verlassen des Amboseli National Parks und fahrt durch die Chyulu Hills, mit einem Stop am Sheitani Lava Fluss. Der Sheitani Vulkan ist vermutlich das letzte mal vor ca 200 Jahren ausgebrochen. Am Chyulu Gate betreten Sie den Tsavo West. Ein kurzer besuch bei den Mzima Springs. Diese Quellen beliefern Mombasa mit Trinkwasser. Mit etwas glück sieht man Hippos, viele Fische und manchmal Krokodile. Pirschfahrt auf den Weg zur Ngulia Safari Lodge. Mittagessen in der Ngulia Safari Lodge. Relaxen am Pool oder geniessen Sie vom Aussichtspunkt der Lodge den atemberaubenden Blick auf die Rhino Sanctuary. Durch das Fernglas kann man oft die ängstlichen Nashörner aus weiter ferne beobachten. An dieser Lodge ist im Garten ein trockener Baum. Hier wird jeden Abend ein stück Fleisch hineingehängt. Oft kommt hier ein Leopard vorbei der sich dies Stück Fleisch holt. 09.00 am depart from your Beach Hotel. Drive for around 100 km on the Mombasa Nairobi Road. At the Bachuma Gate enter the Tsavo East. Game drive enroute via Aruba Dam to the Voi Safari Lodge. Good chances to meet the red Elephants of Tsavo (from the red dust), Giraffe, Zebra, Buffalo, Antilopes, Lion, Cheeta or the rare Leopard. Lunch at the Voi Safari Lodge. Relax at the pool, enjoy the view from here, just amazing. 04.00 pm afternoon game drives around the Tsavo East. 06.30 am early morning Breakfast, check out from the Lodge, game drives on the way to the Manyani Gate. Depart from Tsavo East. Drive up to Emali on the Mombasa Nairobi Highway. Here turn and drive arround 100 Km to Amboseli National Park. Enter the Park at the Imuruti Gate. Game drive on the way to the Camp. Lunch at the Camp. Relax at the Pool. 04.00 pm depart for a game drive around Amboseli. This Park is famous because of the great animal pictures with the Kilimanjaro (Tanzania) in the background. 06.30 am early morning game drive, Breakfast, check out from the camp, drive through the Chyulu hills to the Shetani Lava Flow. This Vulcano has last errupted around 200 years back. From here you drive to the Chyulu Gate where you enter the Tsavo West. Visit the Mzima Springs. These Springs supply Mombasa with drinking water. With some luck you see Hippos, lots of fisches and sometimes Crocodiles. Game drive on the way to the Ngulia Safari Lodge. Lunch at the Lodge. Relax at the Pool or watch the animals from the Viewpoint where there is a good binocular. 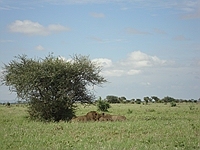 If you are lucky you can see the shy rhino in the Rhino sanctuary. 04.00 pm depart for a game drive with a visit to the Rhino Sanctuary. (no gurantee to see Rhino). At this lodge in the garden is a dry Tree. In the evening the Lodge is hanging a pice of meat in this Tree. Many times a Leopard passes by to get this meat. Maybe you are lucky. 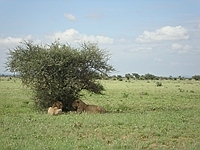 06.30 am early morning game drive, Breakfast, game drive on the way to the Tsavo River Gate. Depart from the Tsavo West and drive for around 200 Km to Mombasa. Drop of at your Beach Hotel. when yould you like to come to kenya with how many pax? ?